Posted September 11, 2017 by The Rapid & filed under News. A better transit experience starts with you. Let’s align for better transit in our six-city service area and beyond. 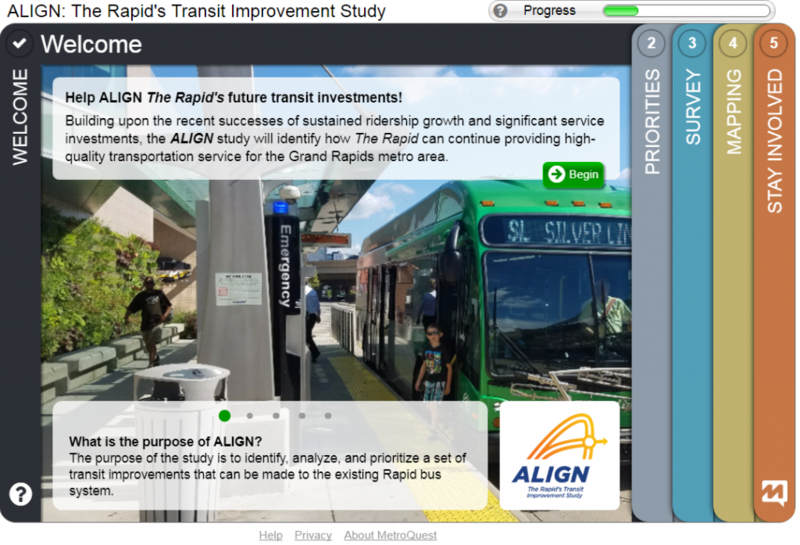 The Align Transit Improvement Study is underway to identify, analyze and prioritize a set of transit improvements that can be made to the existing bus system to improve the overall transit experiences in Grand Rapids and the surrounding communities. This study will look for ways to add to and improve the network, recommend land use and other policies to help grow ridership and determine the improvements the public would like to see for the system. One of the most crucial aspects of this study is public feedback. While The Rapid has helped connect thousands of people across our community for years, there’s always room for improvement. We want to provide you with a better transit experience—but we can’t do that without your input. It’s time to work together and align for a better future of public transit in our region. 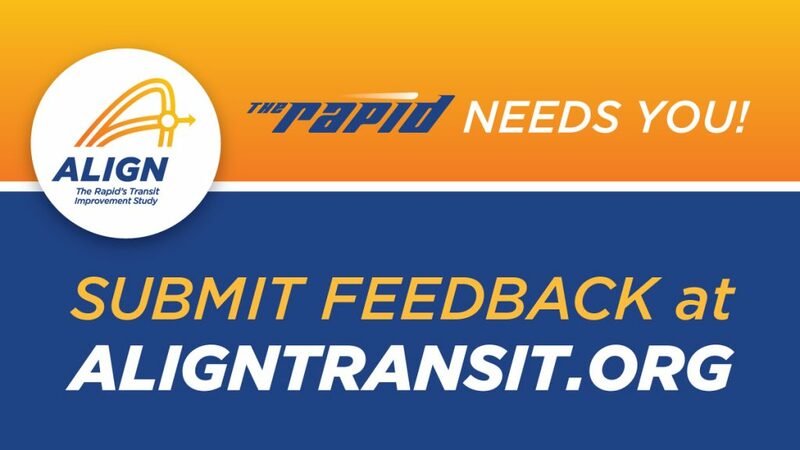 The Align Transit Improvement Study feedback activity will allow you to provide feedback by prioritizing transit improvements, sharing details about the improvements you’re seeking and laying them out on a map. All of this will help us fine tune your feedback for a better transit experience for all. Please share your ideas with us by visiting our MetroQuest feedback page.